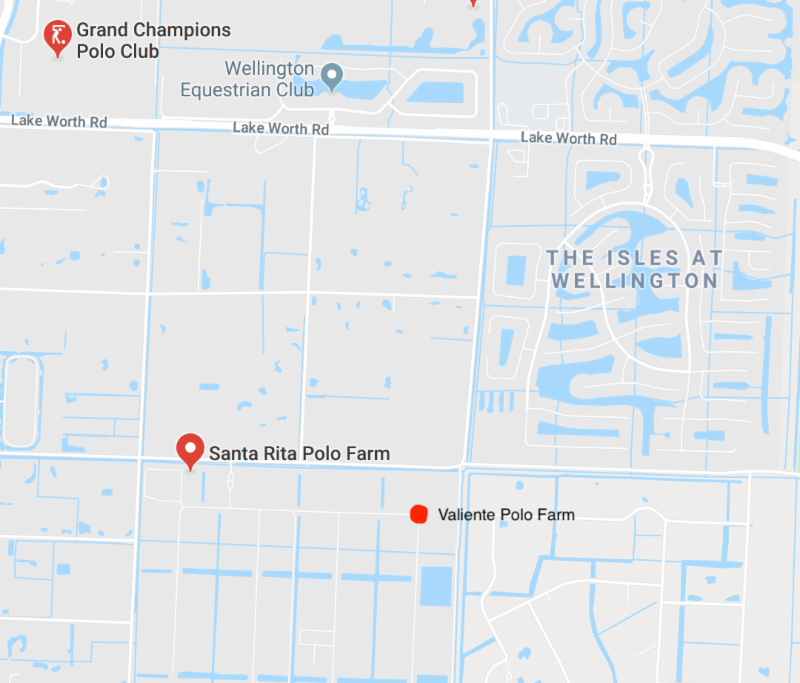 WELLINGTON, Fla., February 24, 2019---Colorado and Valiente won on Saturday to remain undefeated and set up another showdown next week in the semifinals of the World Polo League's Founders Cup. Colorado (Rob Jornayvaz, 2, Juan Martin Zubia, 2, Diego Cavanagh, 9, Jero del Carril, 7) is 2-0 after an impressive 14-6 victory over Alegria (Juan Martin Obregon, 5, Jesse Bray, 6, Mariano Obregon, 6, Freddie Mannix, 8). Valiente (Bob Jornayvaz, 2, Agustin Nero, 6, Santi Torres, 3, Adolfo Cambiaso, 10) also improved to 2-0 with a 13-5 rout of Black Watch (Juan Cruz Merlos, 5, Nacho Figueras, 6, Pite Merlos, 8, Tommy Biddle, 6). 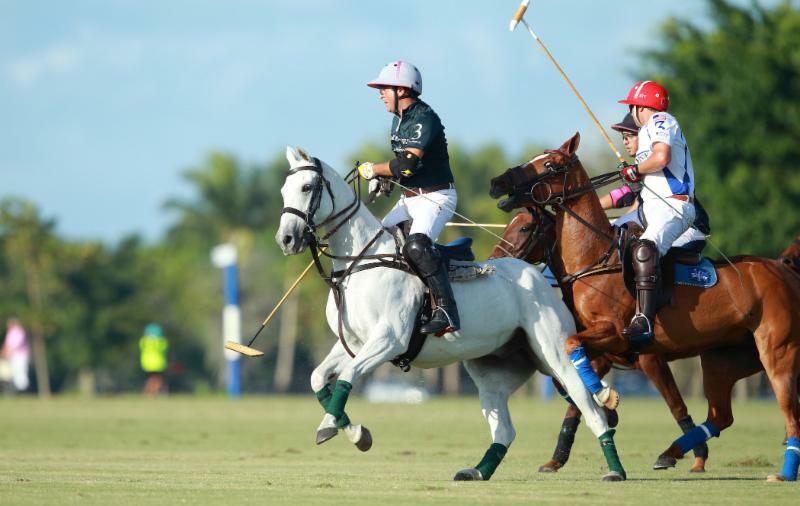 On Sunday, Audi (Marc Ganzi, 2, Nic Roldan, 8, Pablo MacDonough, 10, Kris Kampsen, 6) plays Grand Champions (Grant Ganzi, 2, Juancito Bollini, 4, Rodrigo Andrade, 9, Juan Martin Nero, 10) in the feature match at Grand Champions Polo Club at 4 p.m.
Freddie Mannix of Alegria loses his mallet head after hitting a neck shot. 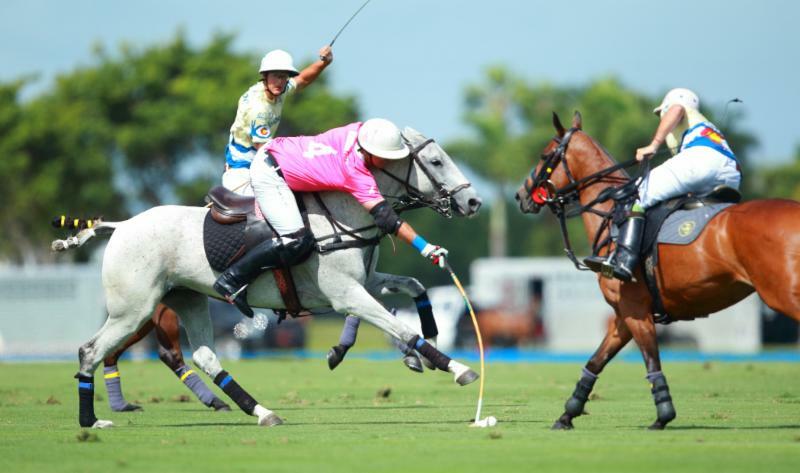 Both Colorado and Valiente put on a show during their lopsided victories. 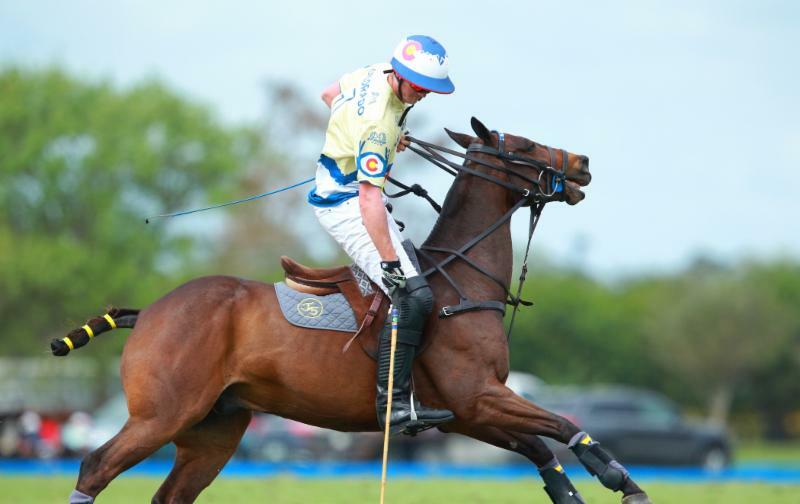 Colorado jumped out to an 8-0 lead before Alegria scored its first goal with 4:32 left in the third chukker. Colorado led 10-1 at halftime. Alegria, playing in its first WPL tournament and looking for more cohesiveness with each game, was better in the second half but still no match for Cavanagh and his three young teammates. "I think we had a really good game," Cavanagh said. "We scored really nice goals and played well as a team passing the ball. I think we can still improve more a couple of things but we played well." Diego Cavanagh of Colorado is double teamed by Jesse Bray and Juan Martin Obregon. Even with an insurmountable lead at the half, Cavanagh said his team never let up. "We knew they are a great team and they could come back," the 9-goaler said. "You have to keep going because if things go down they and you give them a chance they will come back in the last chukker to win the game." Colorado got balanced scoring. Del Carril scored a game-high six goals. Cavanagh and Zubia each had three goals and Jornayvaz added two goals. Juan Martin Obregon led Alegria with four goals and Mannix had two. Diego Cavanagh of Colorado goes for the near side shot. 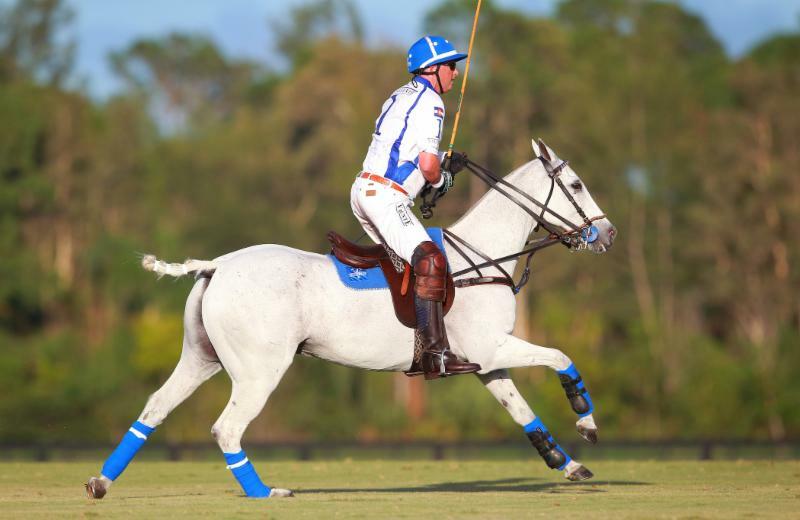 Valiente looked even more impressive in its dominating win over Black Watch. Playing a wide open game, the chemistry between the foursome was evident from the opening throw-in. It didn't take long for Cambiaso to show why he is the greatest polo player in the world kicking it up a gear with his long, lofty goals, pinpoint passing to teammates and athleticism on some of the best horses in the sport. "He's got a lot more gears," Jornayvaz said of his teammate of eight years. "That's what makes it fun. The way we have polo organized and the organization that Adolfo has built is incredible. It's knowing what the other guy is going to do and knowing their strengths and weaknesses." Freddie Mannix of Alegria reaches for the ball with Juan Martin Zubia of Colorado defending. 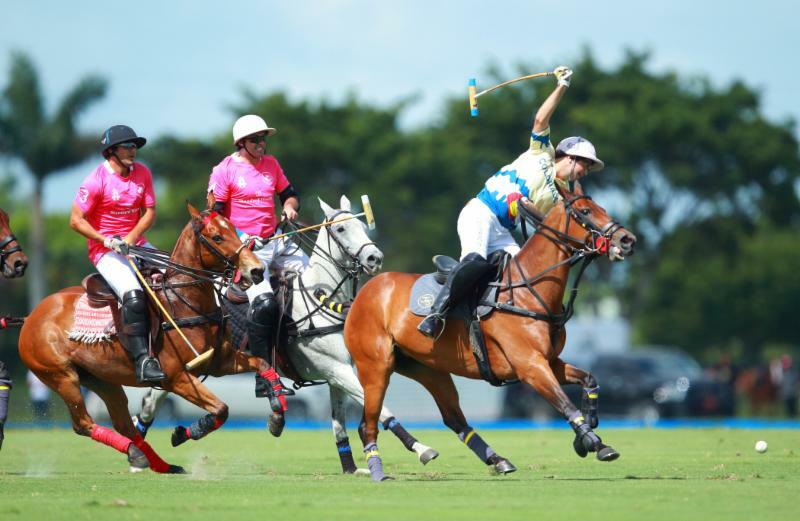 The game marked the World Polo League season debut of Jornayvaz, Valiente team sponsor and WPL co-founder. "It was nice to have Bob back, we have played a long time together so we know how we are going to play," Cambiaso said. "It's good he's back, we enjoyed it. He knows how to play. He just needs to get the rhythm of 26 goals and that's normal, he will get better every game." Juan Martin Obregon of Alegria attempts to hook Juan Martin Zubia of Colorado. Asked how he thought Valiente played, Cambiaso said "winning by a lot means that we played well. I am happy either Colorado or Valiente will be in the final. For sure it will be a tough game, they are playing amazing. At the end of the day we will be celebrating anyway." "This team is amazing," Jornayvaz said. "What makes the difference is being able to play with the same people year after year after year. We have been playing with these guys for years in different formats so we know what each other is going to do. My hat is off to the organization, that's what really shines. Rob Jornayvaz of Colorado works the ball downfield. 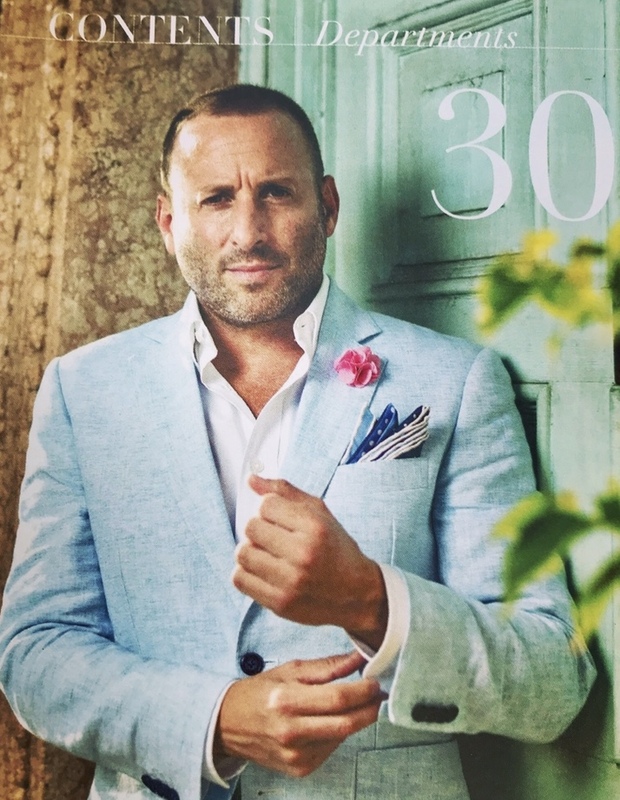 "That's the joy of having a team like any other professional team. You get to know the ins and the outs and what they are going to do. It makes such a huge difference. Trying to organize a different group of players every year is very difficult." 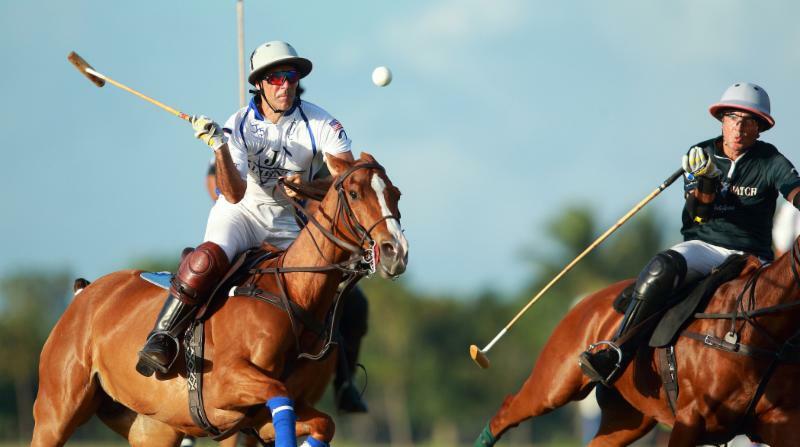 Jornayvaz is pleased with the progress the 26-goal World Polo League has made in just two tournaments. 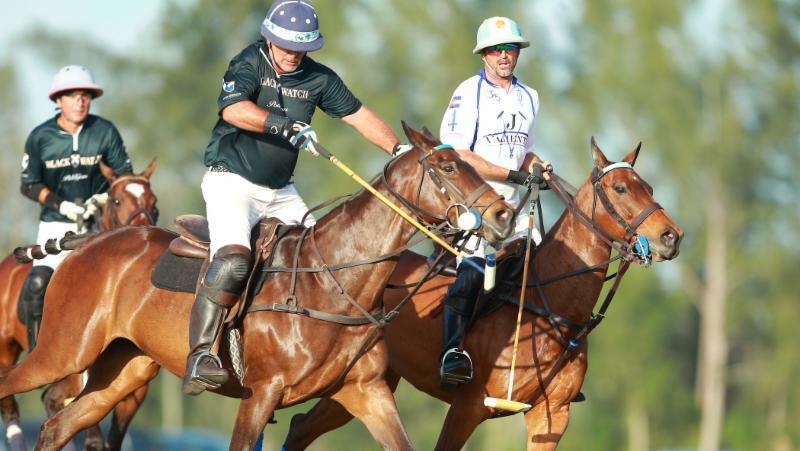 World Polo League co-founder Bob Jornayvaz makes his 26-goal season debut for Valiente. "It's so much fun," Jornayvaz said. "I wish I could have started earlier, but I do work for a living. The first year has exceeded my expectations. We are really proud of what we are in the process of accomplishing. We have a long way to go but we are really proud of where we are." 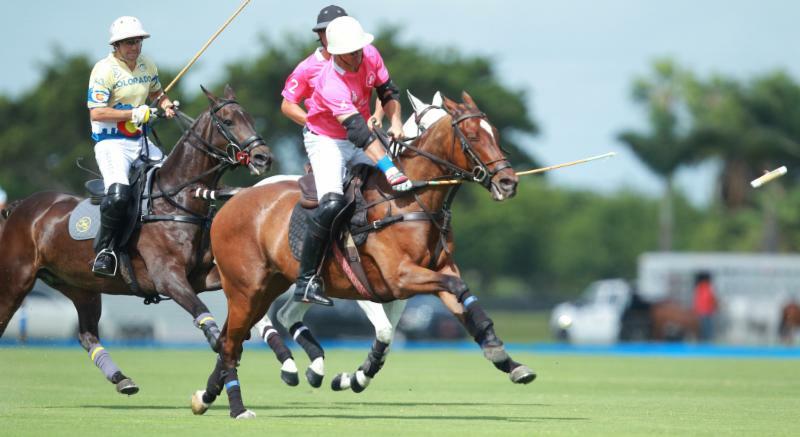 Cambiaso led Valiente in scoring with a game-high six goals, Torres had four goals and Nero added three goals. For Black Watch, Biddle had a team-high four goals including three penalty conversions. Figueras had one. 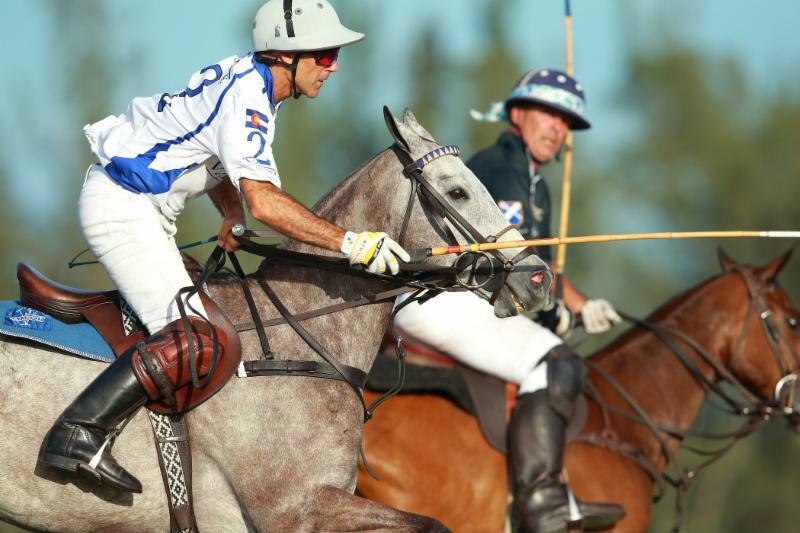 Adolfo Cambiaso of Valiente defends Nacho Figueras of Black Watch. 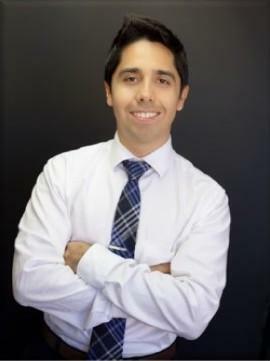 "I'm very happy with the game and the horses," Torres said. "This is one of the best days I felt them. They were there when I needed them. It's good to have Bob back, he hasn't played since Denver but it didn't feel like that." 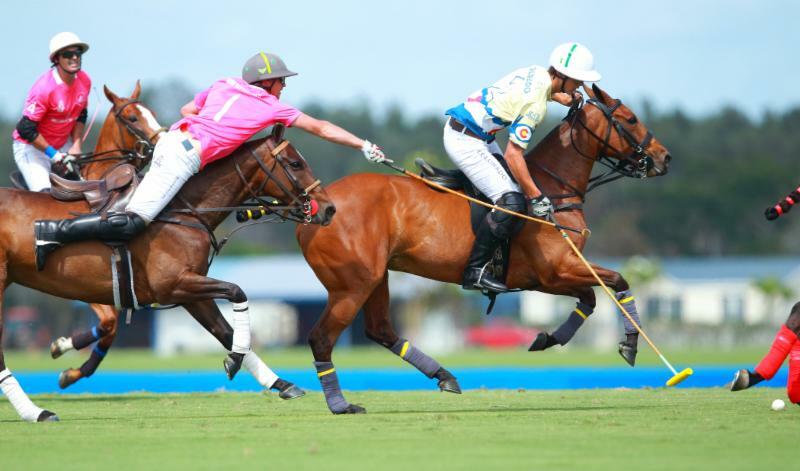 Colorado will play Valiente in a showdown of J5 Equestrian teams on Wednesday at Valiente Polo Farm, part of a doubleheader that also features Black Watch (0-2) against Alegria (0-2). The game will pit father against son. 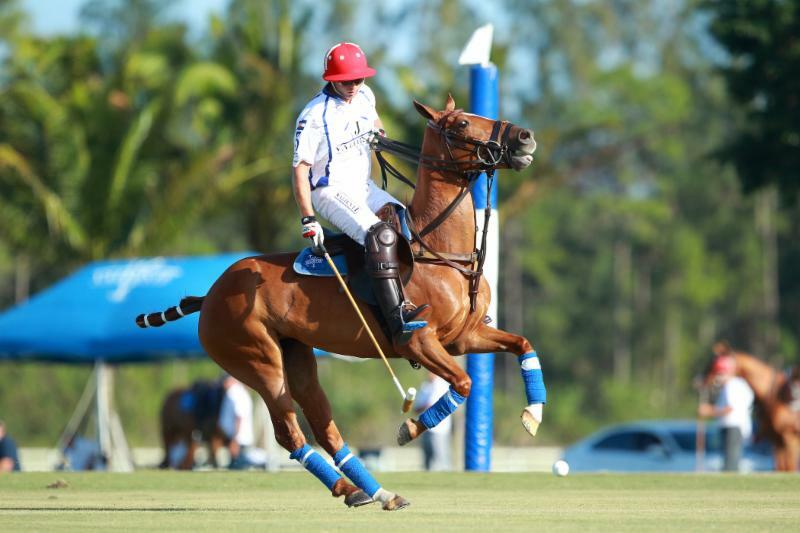 Santi Torres of Valiente gets a little help from his horse with the ball. "Unfortunately, he forgets I'm his father," Jornayvaz said. "Some of the most competitive matches we have had over the last several years going back to the first year I played against Adolfo back in 2011, it's a battle every time. It will be a good game." With prize money on the line starting in the semifinals, eight teams are competing in bracket play to determine the two finalists for the March 3 championship at Grand Champions Field 2 at 4 p.m.
Agustin Nero of Valiente keeps his eye on the ball. The top four teams in Bracket A are Alegria, Valiente, Black Watch and Colorado. The top four teams in Bracket B are Grand Champions, Scone, Flexjet and Audi. 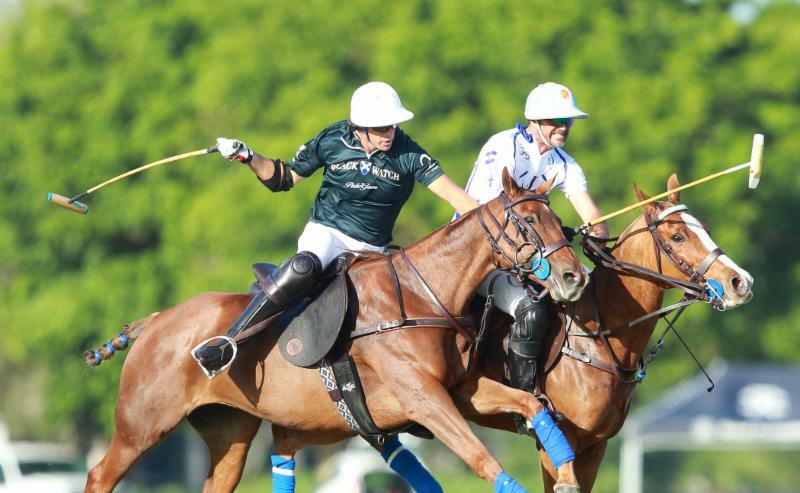 Pite Merlos of Black Watch waiting for the pass from Tommy Biddle with Santi Torres of Valiente taking Juan Cruz Merlos out of the play. Agustin Nero of Valiente hits past Tommy Biddle of Black Watch. 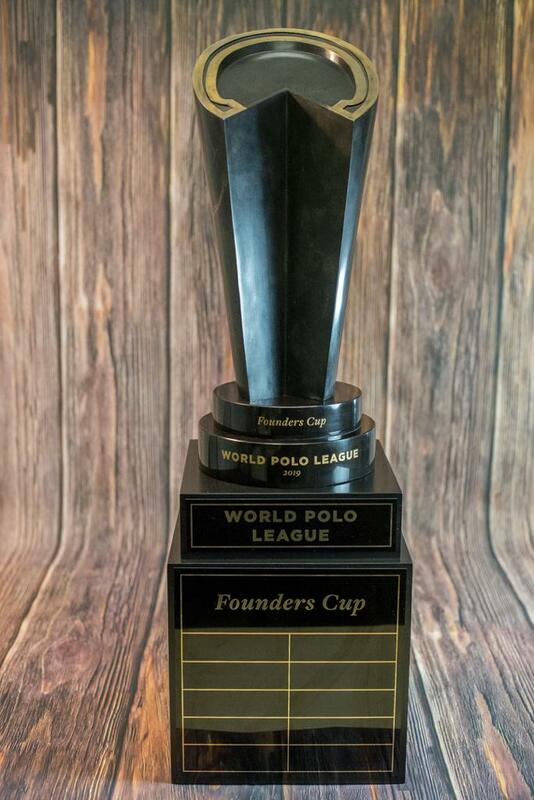 The WPL, with 14 tournament-quality fields to play on, also includes the Feb. 19-March 3 Founders Cup, March 6-24 Palm Beach Open and March 27-April 14 Triple Crown of Polo. Tommy Biddle of Black Watch bounces the ball off his mallet as he works the ball out of the air. 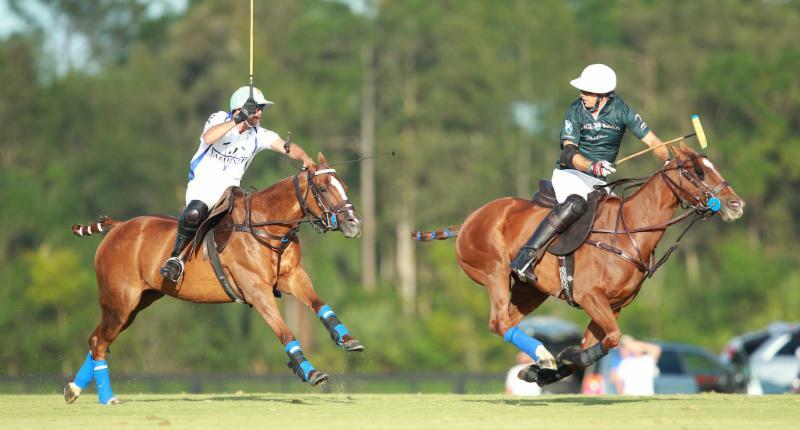 Adolfo Cambiaso of Valiente chases down Nacho Figueras of Black Watch. 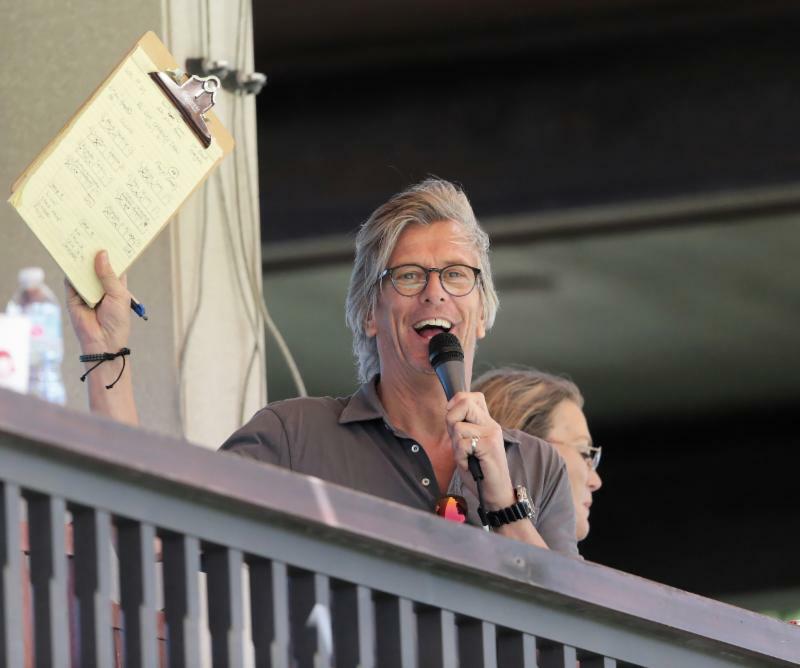 In addition to the World Polo League, season highlights for 2019 at Grand Champions are the Sterling Cup, March 1-31 $50,000 National 12-Goal Tournament, March 1-16 John T. Oxley Memorial and March 3-24 $100,000 World Cup Tournament, a unique 0-40-goal, winner-take-all single-elimination tournament.